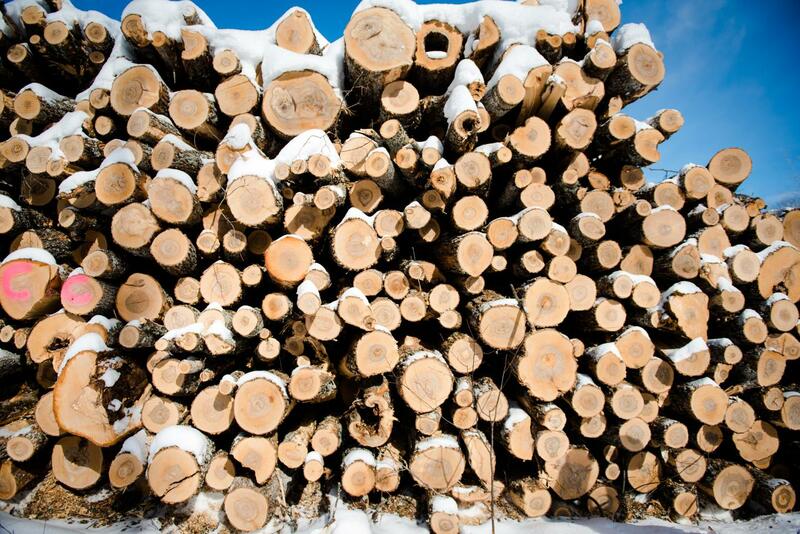 As much as we love our two-by-fours and toilet paper, many of us have mixed feelings about logging. Those feelings can morph into straight-out hostility when it comes to removing the branches and treetops, which are increasingly chipped and burned for electrical power generation. Along with PhD graduate Michael Premer, Froese studied plant communities scattered throughout 29 aspen stands in Michigan's Upper Peninsula. All the stands had been logged at some point within the last 40 years. In some, only the logs had been taken, while in others the whole tree was harvested. The researchers expected that plant diversity would go down in stands where whole trees had been removed, perhaps because the tops and branches leave some nitrogen behind to fertilize the soil. That's not what happened. "What we found is nothing, essentially," Froese says. There was no difference in the composition of the overstory–the trees that grew back after logging. In stands where logging residues had been removed, the understory–shrubs, grasses and other small plants–was actually more diverse. "The difference was small, but it was measureable." Why? The scientists can't say for sure, but they have a theory. "We believe when you remove logging residues, you disturb the soil more, which increases nitrogen availability," said Froese. "We've been asked if the diversity increased because of an uptick in invasive species, but we didn't find that." During the study, the scientists made another unexpected discovery. A logging technique that's supposed to protect sensitive soils is actually depressing aspen regeneration. To protect wetlands and other delicate areas, timber harvesters often use cut-to-length logging, in which trees are delimbed and cut to length directly at the stump. The branches are left behind, and the log is transported along a narrow trail to a landing near a road. Premer found that fewer aspen grew back along those temporary logging trails, and those that did were 20 percent shorter. "It's likely that loggers are doing this to comply with sustainable forestry practices," Froese says. "But Mike's work suggests that, if you want to maintain productivity, you should probably only log these places in the winter, when the ground is frozen." Froese is an associate professor in the School of Forest Resources and Environmental Science. The article on this study, "Incidental Effects of Cut-to-Length Harvest Systems and Residue Management on Populus tremuloides (Michx.) Regeneration and Yield," coauthored by Froese and Premer, now a silviculturalist with the timberland company Rayonier, was published online April 4 in Forest Science. The article on the earlier study, "Vegetation Response to Logging Residue Removals in Great Lakes Aspen," was published in the journal Forest Ecology and Management. The coauthors are Froese, Premer, Professor Christopher Webster of Michigan Tech's School of Forest Resources and Environmental Science and Linda Nagel, formerly of the School and now on the faculty of Colorado State University.